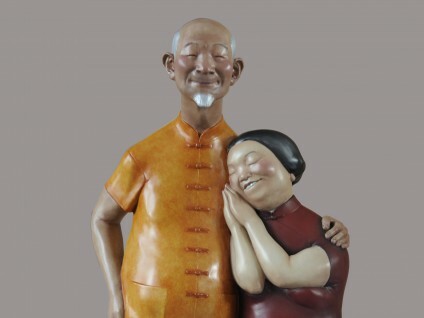 Born in Datong, Shanxi in 1964, Wei Ligang is known as one of the greatest ink masters of our time. 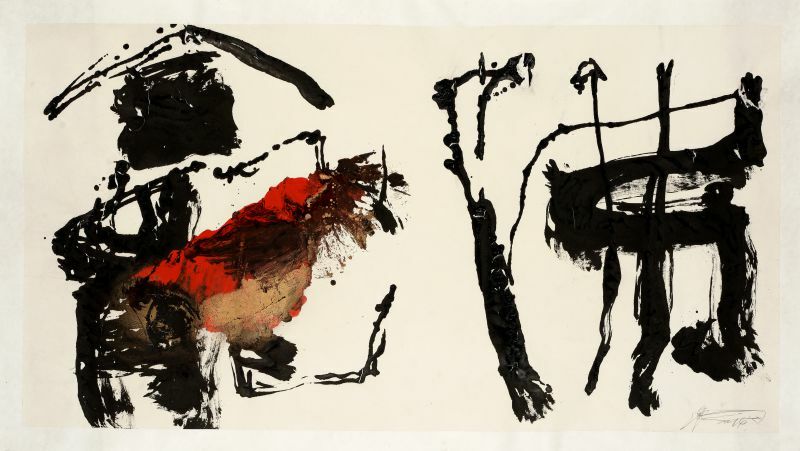 Closely connected to the Chinese ink and calligraphy movement since its expansion from the mainland to the international sphere, the artist has been noted as one of the pioneers of abstraction in the field, melding Eastern and Western influence into a new generation of expressionism without eluding the tradition of its artistic past. 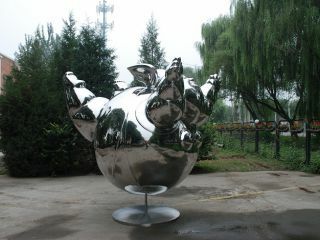 In 1999, Wei Ligang was one of the organizers of the iconic Bashu Parade, the first exhibition of modern calligraphy held in Chengdu that notoriously launched a storm of criticism within traditional art circles and major intellectual controversies concerning Chinese calligraphy- a discussion that continues to the present day. 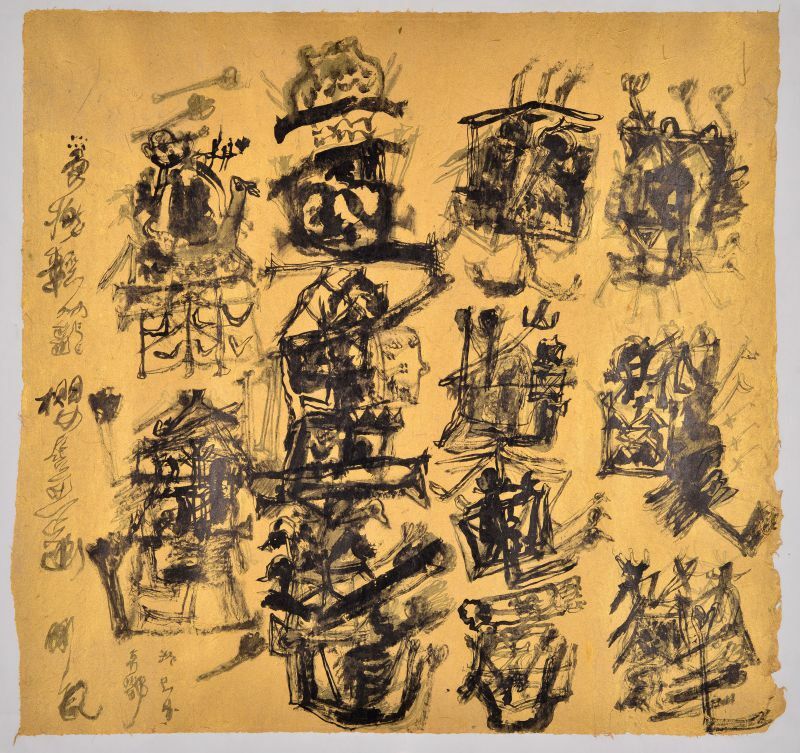 Widely identified by his characteristic ‘Wei Squares’ or ‘Magic Blocks’, as they are sometimes called, the award-winning artist has exhibited the world over, with numerous global publications and collections to his name, including the Chinese National Museum of Art, The British Museum, and the Boston Museum of Art. 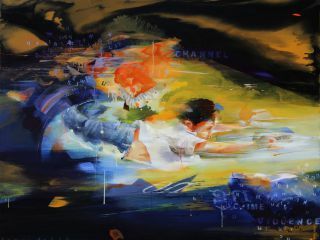 Born to a family of performance art professionals, Wei Ligang first began the study of calligraphy at the tender age of nine, quickly emerging as a prodigy of artistic brilliance. 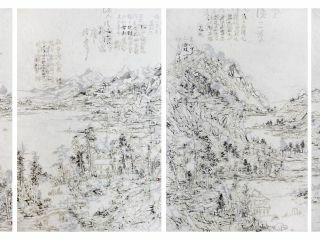 In 1985, Ligang graduated from the prestigious Nankai University in Tianjin as a mathematics major, after which he taught mathematics in Taiyuan, eventually moving to the teaching of calligraphy. 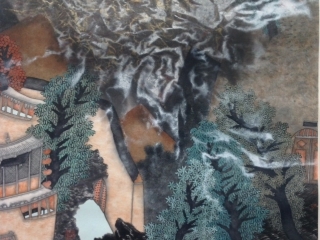 In 1995, the artist moved to Beijing to join a bohemian artist’s colony Yuan Ming Yuan; it was during this time that he helped establish Beijing’s first gallery specializing in modern calligraphy- Song Feng Yuan. 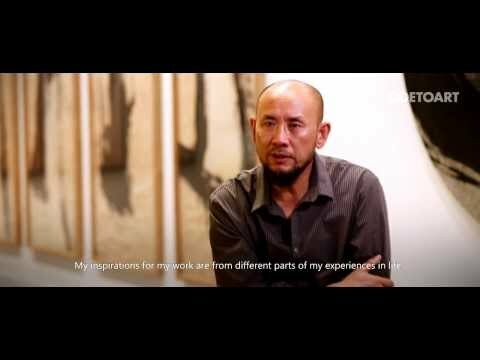 Bolstered by his background and interest in mathematics, Wei Ligang constructed his iconic ‘Wei Squares’ – a formulaic base to his art that is inspired by the framework of squares used for practice by students of calligraphy. An abstract development of the traditional script, Ligang expresses that this particular style is a ‘magical’ transformation of the ancient Chinese script where every block of text becomes a unit of its own unique perception. 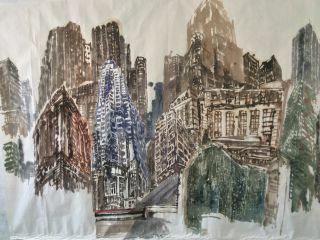 Thus, the style of Magical Blocks is not only an aesthetic modulation, but a deconstruction of calligraphy into an expressionist form of meaning and cultural element. 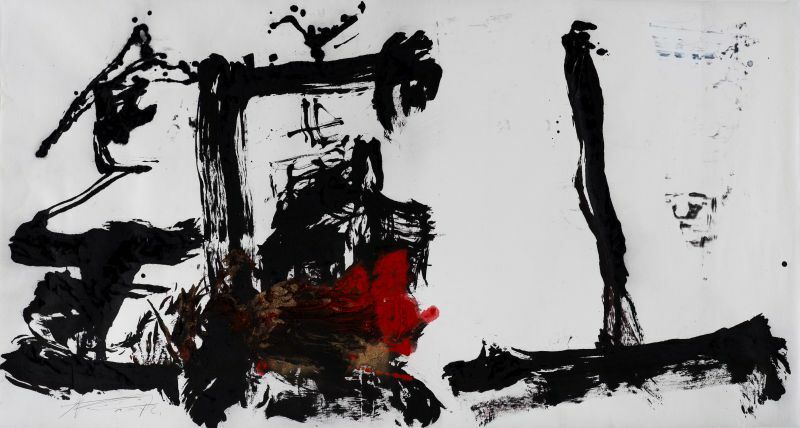 Creating art that subtly combines the elements of Chinese painting and calligraphy, Wei Ligang’s brushstrokes range from bold strokes to transient greys while always respecting the integrity and tenacity of the line. 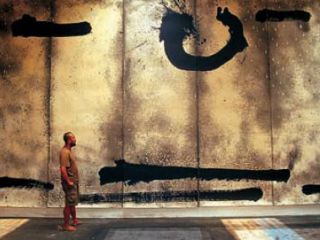 Apart from his calligraphic art, the artist is also known for his ‘gold-ground’ paintings where individual brushstrokes remain indiscernible- creating a kind of eastern aesthetic counterpart to Western action painting and abstract expressionism. 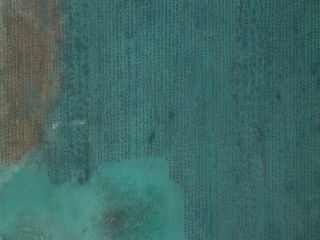 A scholar of both Western and Eastern technique, Ligang believes that the line is what lies at the base of Eastern abstraction. The semantic function of the calligraphic words have been functionally erased, he claims, selecting characters for his work as materials, not meaning. “I am investigating lines”, the artist says, “Just like a material scientist studying the properties of wood or soil, or the elements of a microcosm — the lines are my material, and I encounter the character on that level.” Wei Ligang continues to test the boundaries of eastern abstraction to this day, steadfastly leading the sphere of Chinese ink into the modern-day world of contemporary art.